For this post, I have put together a collection of the best multi tools currently available. These versatile gadgets are the perfect go-to tool for projects around the house, on the job, or anywhere outdoors. The following multi tools use the latest innovative components to meet your needs and help to ensure you do your best work. 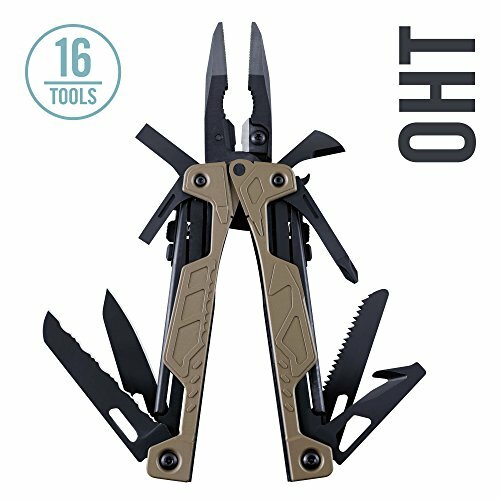 So here is my list of The 10 Best Multi Tools. 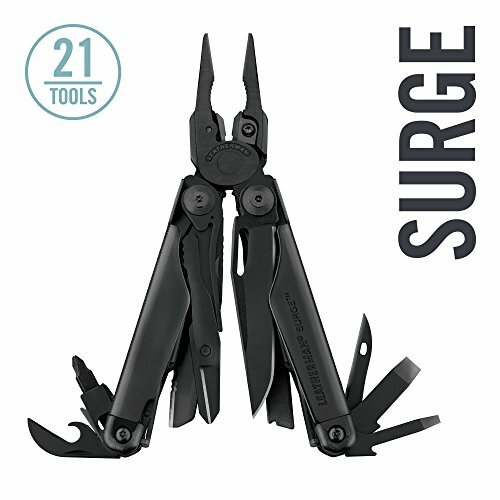 The Leatherman Surge is one of their two largest multi-tools; a real powerhouse. 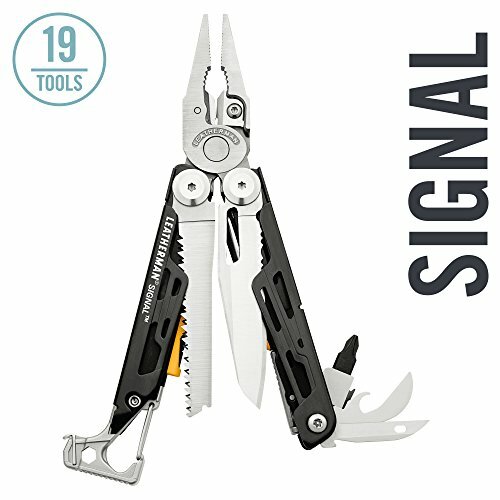 Built with their largest pliers, longest multi-tool blades and easy-to-use locks. Closed Length: 4.5 in (11.5 cm). Weight: 12.5 oz (335 g). Primary Blade Length: 3.1 in (7.87 cm). 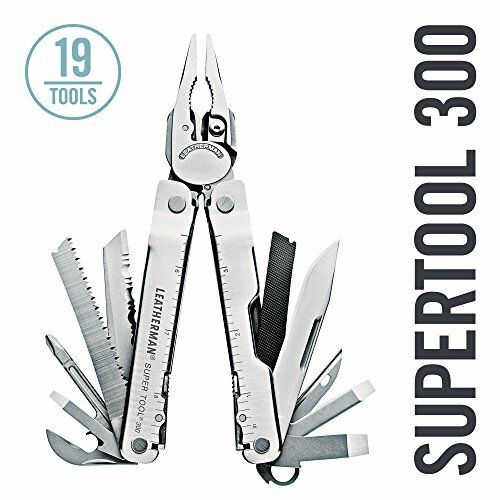 The award-winning, Leatherman Super Tool 300. Larger pliers are the strongest Leatherman has ever produced and the sloped-top handle design means you can maneuver them further into tight spaces. Stranded, hard and regular wire cutters all come standard on Super Tool 300, and because they're removable you can repair or re-sharpen on the spot. 19 tools all ready for your toughest jobs. Closed Length: 4.5 in (11.5 cm); Weight: 9.6 oz (272.15 g). Primary Blade Length: 3.2 in (8.13 cm). 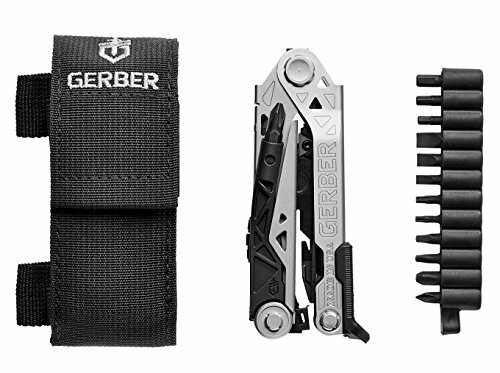 Gerber’s Center-Drive Multi-Tool is a game-changing addition designed for real life, heavy-duty work. The thoughtful one-thumb opening design allows for quick deployment of the three full size tools you depend on most: the pliers, the blades, and the screwdriver. Opens to align with the center axis of the tool – giving you all the torque and rotation of a traditional screwdriver. The full size blades conveniently replace your everyday pocket knife, and the full size spring-loaded pliers. Features an X-Channel Rail System to eliminate rattle and open smoothly. For years multitool users could choose from two distinct options when it came to a "one-hand-operable" multitool: one-hand-opening pliers OR one-hand-opening blades. Today, Leatherman has taken these two well-loved ideas and fused them into the first ever 100% one-hand-operable multitool. 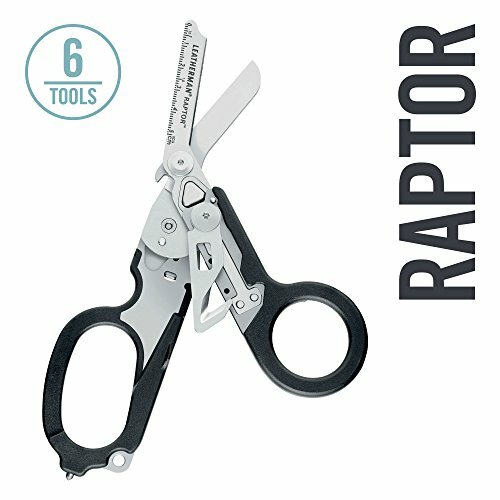 This industry-first tool features spring-loaded pliers and wire-cutters so you don't tire your hand adjusting and readjusting your grip. Handles with visual imprints of the tool beneath make for quick identification. A lifesaving strap cutter and oxygen bottle wrench, threading for common-size cleaning rods and much more make this a one-handed workhorse of a tool. Weight: 9.9 oz (280.6 g). Primary Blade Length: 2.37 in (6 cm). 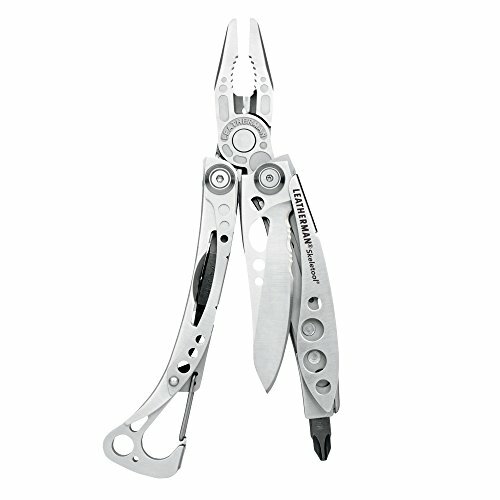 Leatherman Skeletool come in at a mere five ounces. Stainless steel combo blade, pliers, bit driver, removable pocket clip and carabiner/bottle opener. The Skeletool is just what you need in one good looking package. Closed length: 4 inches (10 cm). Blade length: 2.6 inches (6.60 cm). The functionality of a Leatherman tool, with you everywhere. Usable tools like Allen wrenches, screwdrivers and box wrenches available at a moment's notice. Adjustable to accommodate any wrist size and fully customizable with the links you need most. 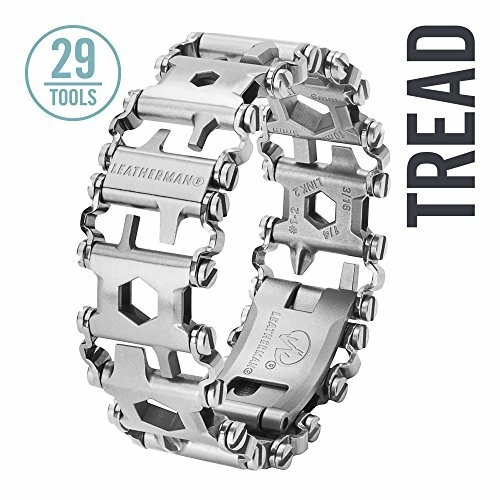 Leatherman Tread is as stylish as it is functional. The unmodified Tread measures 8.56 in length when closed and can be adjusted by 0.5 inch or 1 inch increments to fit. 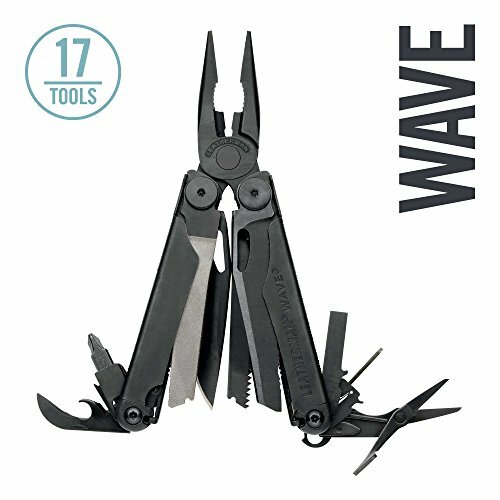 The Leatherman Wave multitool is hands down their most popular model. Made famous by its outside-accessible blades that can be deployed with just one hand. Redesigned in 2004, the new Wave got larger knives, stronger pliers, longer wire cutters, and all-locking blades. Perfect for any job, adventure, or everyday task, an international best-seller. Closed Length: 4 in (10 cm). Primary Blade Length: 2.9 in (7.37 cm). Shaped diamond coated sharpener for maintaining your straight and serrated blade, fire-starting ferro rod, and an emergency whistle. Stay ready for the expected (and unexpected) no matter where you are with everything you need to stay safe and take your adventure further. Closed Length: 4.5 in (11.43 cm). Weight: 7.5 oz (212.6 g); Blade Length: 2.73 in (6.93 cm). Includes: Safety Whistle, Ferrocerium Rod, Diamond Sharpener. Developed with the input of special operations medics, EMTs and fire professionals familiar with standard medical shears. Raptor was crafted with just the right balance of multipurpose features for medical-specific ops without an overkill of tools to complicate sometimes life-threatening situations. Closed Length: 5 in (12.7 cm). Weight: 5.8 oz (164 g). Shear Length: 1.9 in (4.8 cm). A great, lightweight, pocket-sized, stainless steel tool. Wingman features an outside-accessible, one-hand opening blade and newly-designed spring-action jaws. Plenty of handy tools, and backed by a team of designers, assemblers, and manufacturing crew from Portland, Oregon. Covered by the Leatherman 25-year warranty. Closed length: 3.8 inches (9.7 cm). Blade Length: 2.6 inches (6.6 cm). 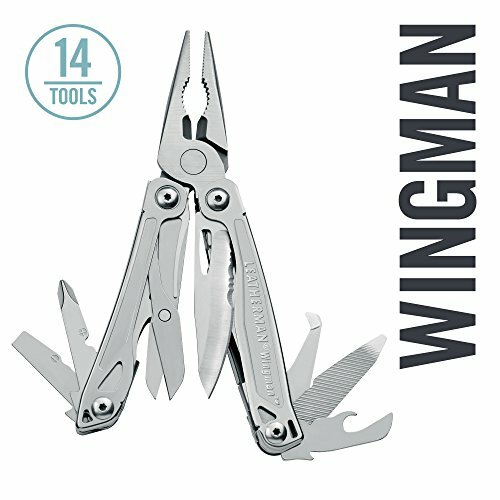 I hope this list of the best multi tools was helpful.